The book is now available on Amazon - In paperback and Kindle. A portion of the proceeds from this book will benefit Warren Village, a nonprofit organization in Denver, Colorado that has transformed the lives of 4,400 low income families, primarily headed by single women, over the last four decades. Several residents provide valuable input for this book. Our BDI Publishers is also graciously contributing 33% of the profits from this book to Safehouse Outreach’s Family & Women Services of Atlanta, Georgia. 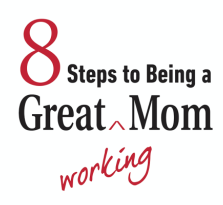 "Working with Gretchen, I have admired her ability to juggle work and motherhood. Under her leadership, The Women’s Foundation of Colorado achieved groundbreaking efforts on The Cliff Effect for low-income women and girls in Colorado, and yet I always saw Gretchen’s kids at events and recognized the important role being a great mom played in her life." "For as long as I have known Gretchen, she has been a great mom with a successful career. Many will benefit from her practical advice and I am happy she carved out the time to write this book. Gretchen tells it like it is. Most importantly, she helps us understand that we are all great moms!"